It started on the plane over from Toronto, where every other person getting on board seemed to know each other. There were calls across the aisles asking how the meeting or gig had gone, and my driver got some advice about his dog from his vet as we waited at the baggage carousel. After a long travel day the friendly, relaxed feel was just what I needed, and the perfect introduction to Canada’s smallest – and arguably friendliest – province. I was in Canada as part of the Canada City Plus project, where 14 bloggers travelled to different cities, from one side of the country to the other, to celebrate Canada’s 150th birthday. And my destination was a place I’d never even heard just a few weeks before – Prince Edward Island. 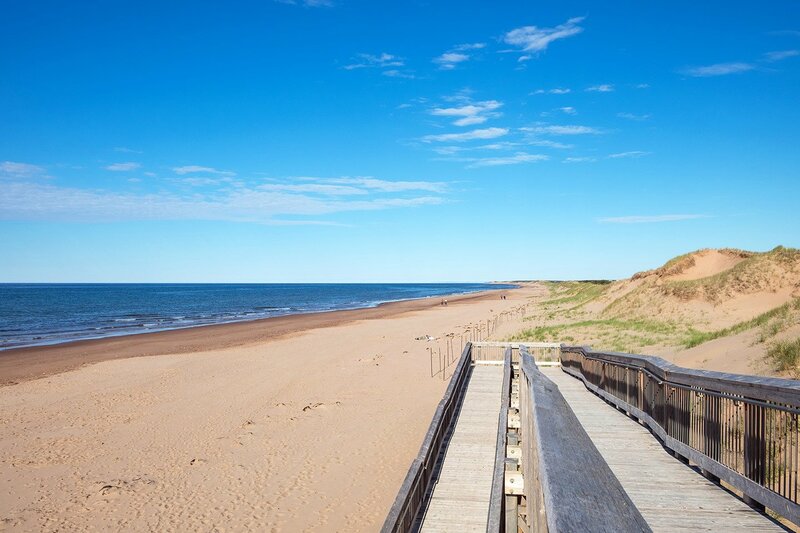 In a country that spreads halfway across the globe and where the drive from one town to the next might take you five hours, Prince Edward Island – or PEI as it’s better (and more catchily) known – is a bit of a contrast. It’s one of four Atlantic Provinces in the east of Canada. At just 139 miles long and 40 miles wide, Canada’s only island province has a population of 146,000. But despite its small size it packs a lot in, whether that’s as the home of Anne of Green Gables, the producer of some of the country’s best seafood or just for its beautiful scenery. In my week on the island I set out to discover just some of what it has to offer. Prince Edward Island’s scenery is a real contrast to what I’d seen in other parts of Canada. Forget the extreme landscapes – the densely-packed forests in Ontario, the rugged peaks of the Rockies and the flat open spaces of the Prairies. Instead the island’s countryside scenery is a lot gentler. 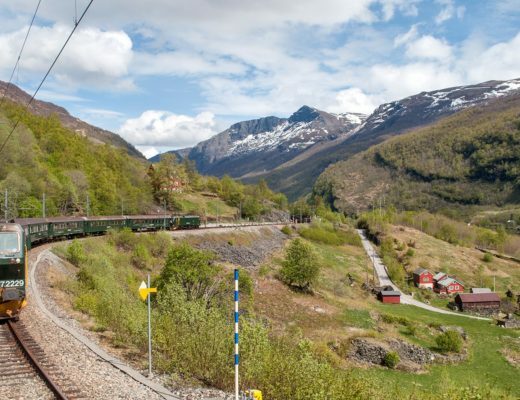 Inland you’ll see miles and miles of green rolling hills, covering rich deep red soils and dotted with white-gabled farmhouses. One of the best ways to get out and see the countryside is by bike, so I headed out for a ride with local cycle enthusiast Ruth, whose fitness totally put me to shame. 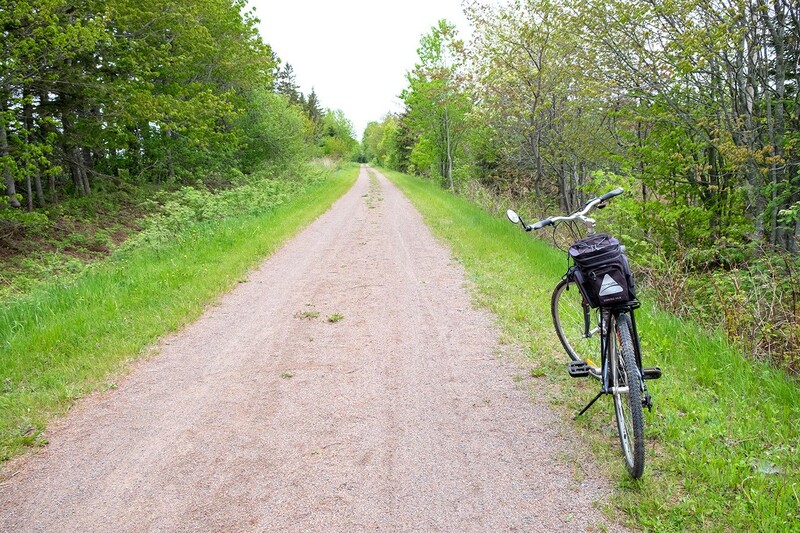 PEI’s a great place to get on your bike, as a former railway track running from one tip of the island to the other has been converted into the 270-mile-long Confederation Trail. It’s full of walkers and cyclists in summer, then turns into a snowmobile trail in winter. We tackled a short stretch north of Charlottetown through farms, fields and tree-lined paths – the flat gradient stopped the cycling being too tough and a slow pace meant we could soak up the scenery. 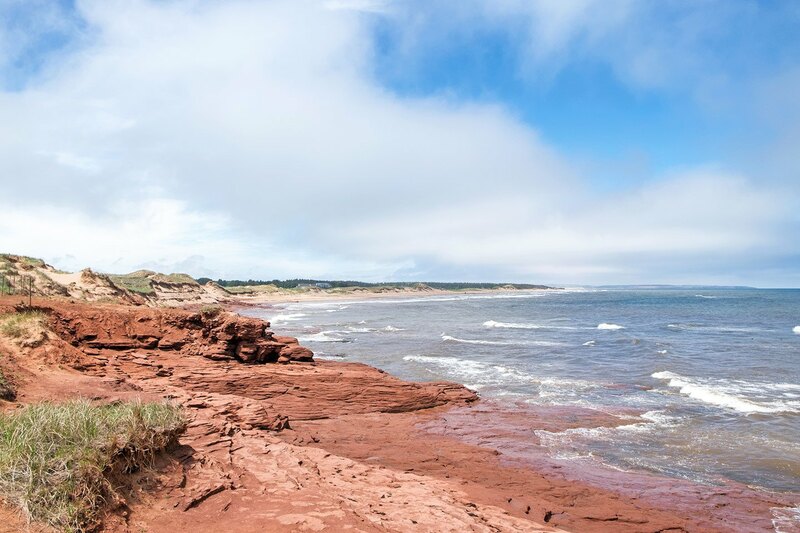 You’re never far from the sea in PEI – it was christened ‘Abegwiet’ by the Miâkmaq First Nations people who first settled here, meaning ‘land cradled by the waves’. There’s around 680 miles of coastline circling the island, from long stretches of golden sand to rocky coves surrounded by red sandstone cliffs. Ocean currents around the island mean that the seas are as warm as the waters off the Carolinas in the US, 1000 miles to the south – still not quite warm enough to tempt me in for a dip in early June though. 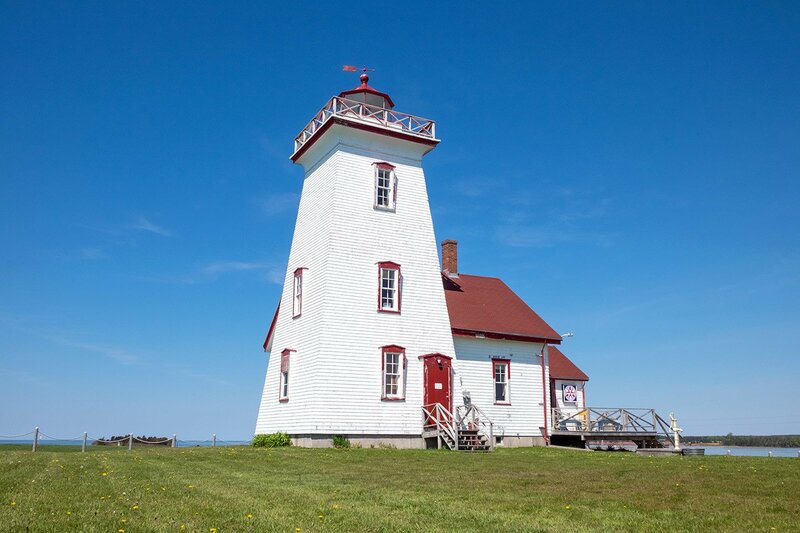 And where you have coastline, you have lighthouses – one of the most recognisable symbols of Maritime Canada. There are 63 of them dotted around the coastline of PEI, many of them built back in the mid 19th-century to protect ships from the treacherous ocean currents that flow around the island. The number of shipwrecks offshore shows how much they were needed – there’s even talk of a ghost ship with burning sails that appears in the Northumberland Strait whenever a storm rolls in from the north-east. Many of the lighthouses are still in use, and you can even go and stay in one. I headed out to photograph just a few, starting with Covehead lighthouse on the North Shore, a perfect red and white lighthouse nestled among the sand dunes which could’ve come straight from a postcard. Right in the far east of the island, East Point Lighthouse is one of the few that’s open to the public. You can climb up the 67 stairs to the top and look out along the coastline where the savage tides of the St Lawrence and Northumberland Strait meet. Coastal erosion meant the lighthouse had to be moved in 1908 but it’s still beautifully maintained, and a lot of the lighthouses are looked after by local community groups to keep the island’s heritage alive. Nicknamed Canada’s food island, Prince Edward Island is bursting with great produce and flavours, so it was only right that I ate and drank as much of them as possible. 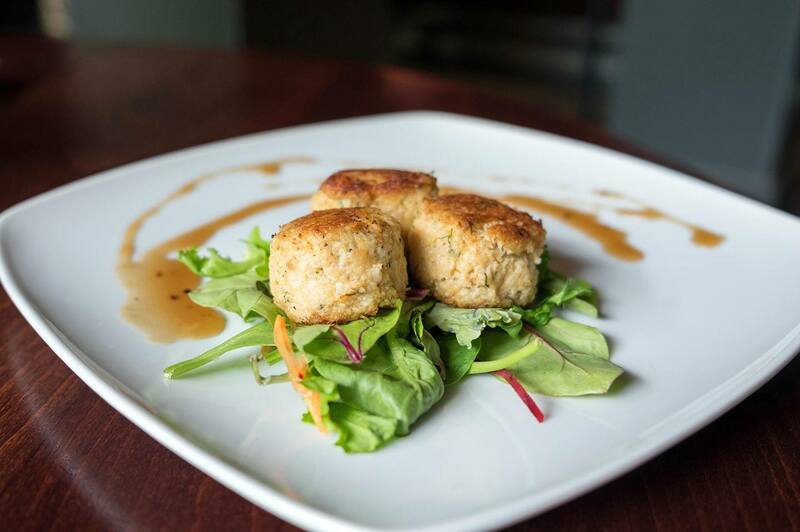 The island has a long fishing and farming heritage, and a new breed of innovative chefs are being drawn to the island, or trained up at the Culinary Institute of Canada in Charlottetown, all keen to take advantage of the fantastic produce grown here. The island’s size means it doesn’t take long for the day’s catch or latest harvest to end up on your plate. As you’d expect with all that coastline, the island’s biggest foodie highlight is its seafood, and lobsters are the star of the show. 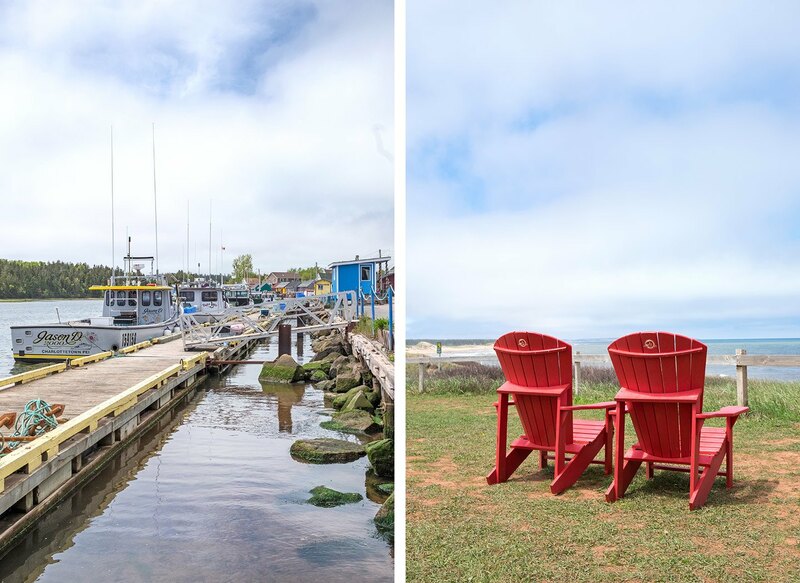 I took a trip out to PEI’s North Shore – the heart of the lobster fishing industry. A string of pretty fishing villages line the coast here, their tiny harbours lined with boats and piled up high with lobster traps. The seas around PEI have been teeming with lobsters for centuries, but it wasn’t until the 1860s that they became a delicacy. Before then farmers would just spread them on the fields as fertiliser. 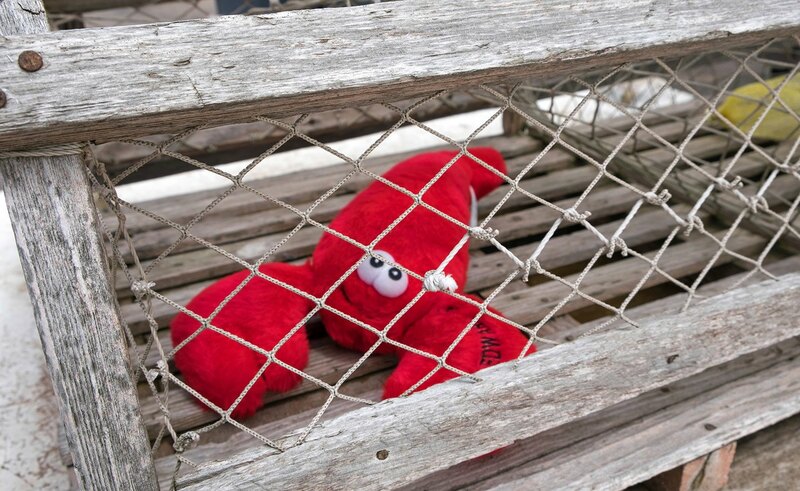 Now lobster fishing is big business. The industry is heavily regulated to make sure it stays sustainable, and there are two fishing seasons each year – one from May until June and the other from August to October. Licences are so sought after that they can cost as much as a million dollars, so they’re usually passed down through the generations. I saw lobster on the menu in restaurants all over the island in every different form you can think of, but the simplest way to try it is in a lobster roll. Fresh silky lobster with a dash of mayo and a squeeze of lemon in a buttery roll – and it tastes even better when you’re sat on the water’s edge. PEI’s seafood bounty isn’t limited to lobster – there are Malpeque oysters, mussels, clams, cod and Atlantic salmon. 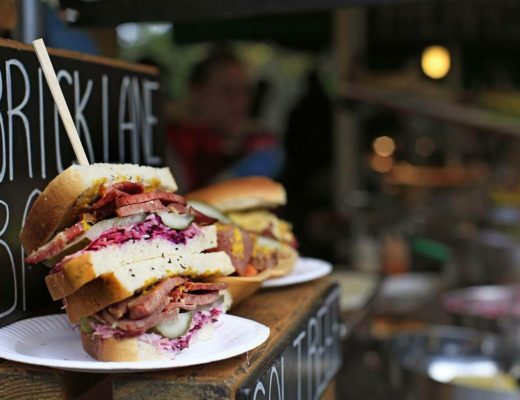 There’s even a whole festival dedicated to shellfish each September. It’s so prevalent that PEI is the only place I’ve been to where our bar snacks on a night out were scallops wrapped in bacon and oysters – no pork scratchings or salt and vinegar crisps here. The island harvests over 55% of the oysters eaten in North America, so it was only right that I popped my oyster cherry there. Served with a dash of raspberry vinegar and a shaving of horseradish, it was tastier than I expected but I still need a bit more practice! Away from the coast, PEI’s iron-rich soils are perfect for growing potatoes – the island produces 30% of the potatoes grown in the whole of Canada. You can buy them and other local fruit and vegetables straight from the farm at the Charlottetown Farmers’ Market. Or if you fancy trying something different, how about the surprisingly tasty chocolate-covered potato crisps or maple syrup wine? 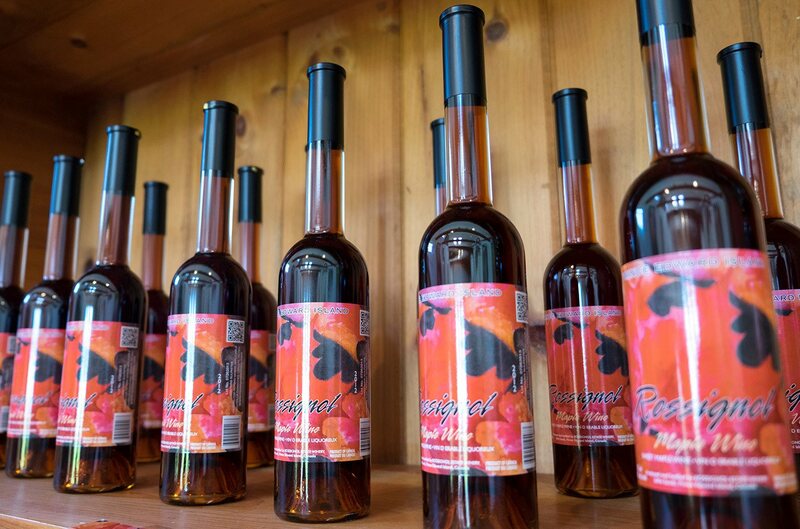 The whole island is full of great (and sometimes unusual) food producers, from tasty jams and chutneys at the PEI Preserve Company and creamy Cows ice cream to craft breweries and wineries. There was no chance I’d go hungry. I’d always imagined that Canada had been formed in the capital Ottawa, or in one of the major cities. But it turns out that back in 1864 it was Prince Edward Island where the provinces of New Brunswick, Nova Scotia, Ontario and Quebec first met to form this new nation. 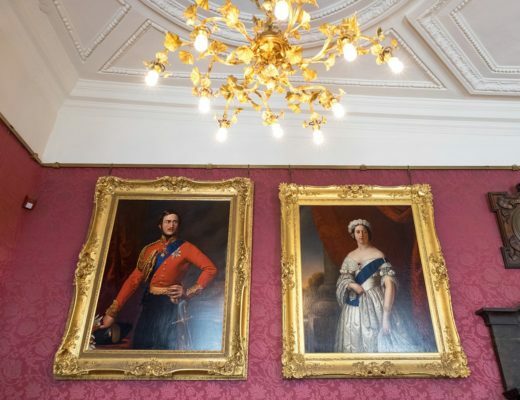 It all took place in Charlottetown‘s Province House. The building is closed for renovation for the next few years, but you can still see a replica of the historic Confederation Chamber where 23 of the Fathers of Confederation (bizarrely two of which were both called John Hamilton Gray) met in the Confederation Centre of the Arts next door to Province House. 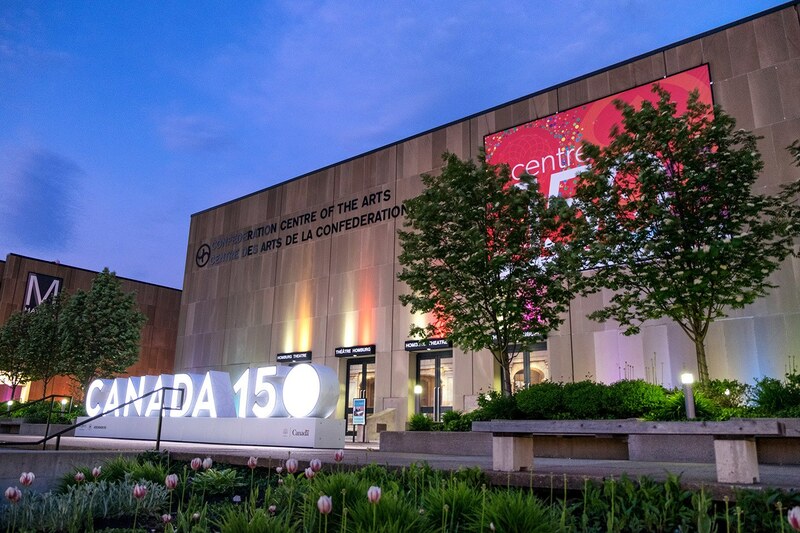 The Confederation Centre of the Arts opened on the 100th anniversary of Confederation and stretches across a whole block of the city, with an art gallery and five theatres. I took a tour with marketing officer Carol and learnt about the huge range of performances and exhibitions at the centre. But the biggest draw – here and across the world – is Anne of Green Gables. This much-loved book has been turned into a musical that plays each summer at the Centre and is now the world’s longest-running musical. 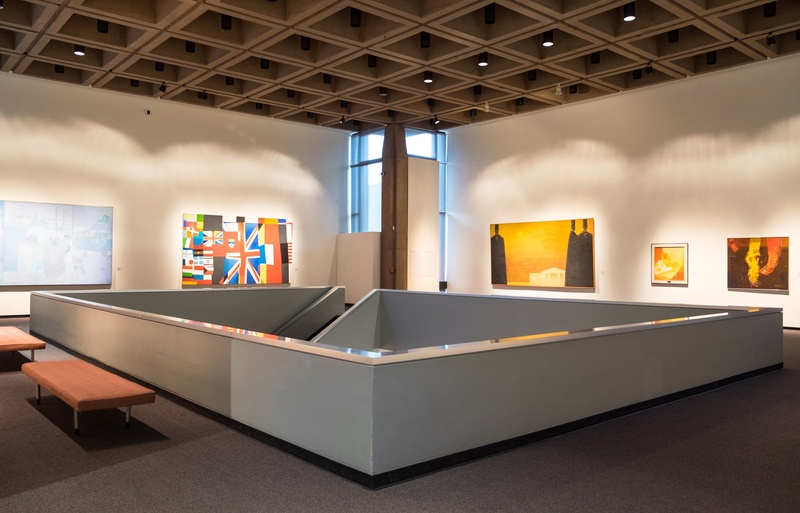 The Centre’s gallery also shows off art and sculpture from across Canada, with over 17,000 objects in their collections. While I was there we watched a huge dreamcatcher being built based on the island’s First Nations heritage. PEI’s heritage mixes up First Nations with Acadian, Irish and Scottish influences. So it’s not surprising that music’s a big thing on the island, with traditional ceilidhs as well as jazz, bluegrass and classical performances. I just missed the island’s Festival of Small Halls, a music, storytelling and dance festival that takes place in little community venues around PEI. 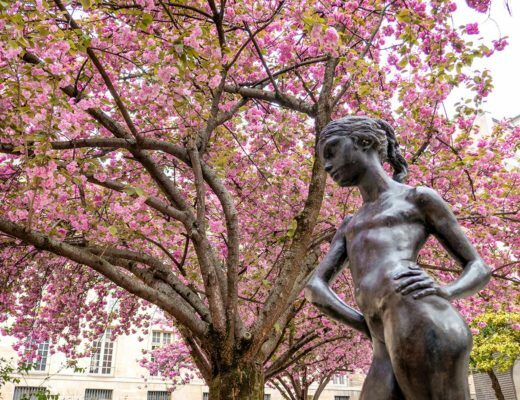 The artistic feel spreads across the island, which seems to draw in sculptors, painters and craftspeople who make everything from jewellery to ceramics. 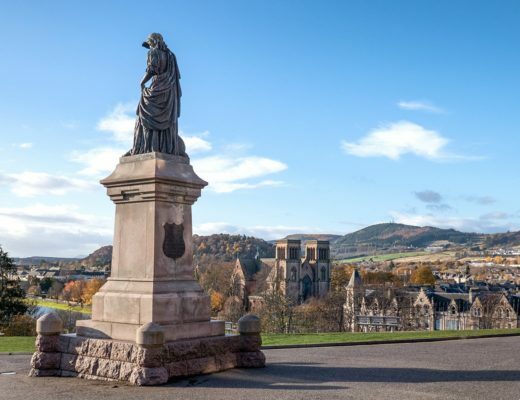 There’s an Arts and Heritage Trail you can follow across the island visiting museums, galleries and craft shops. A week’s worth of eating, drinking, photographing and exploring later I’d still only seen half of the island. But that was ok. It’s the kind of place where you can do as much or as little as you feel like, where the pace of life gets slower and you can’t help finding yourself relaxing with it – and who wouldn’t love that? Getting there: I flew to Canada from London Gatwick to Toronto with Air Transat – prices start from £346 return. From there I caught a connecting flight on to Charlottetown. You can also get to the island via the nine-mile-long Confederation Bridge from New Brunswick or on a 75-minute ferry from Nova Scotia. 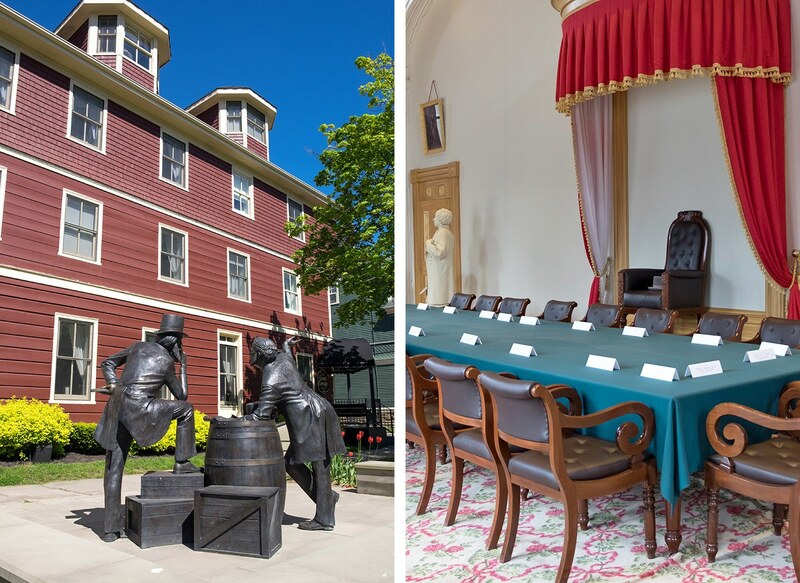 Do it yourself: I stayed at the historic Great George Hotel in Charlottetown. Made up of 17 different buildings that date back to the mid-1840s, it’s got lots of charm and a great central location. The easiest way to explore the island is by car, and there are lots of car hire options. Or I took a couple of guided tours with Prince Edward Tours to the North Shore and east coast lighthouses. If you want to try lobster fishing, digging for clams or making local crafts, PEI Tourism run a series of Authentic PEI Experience tours. 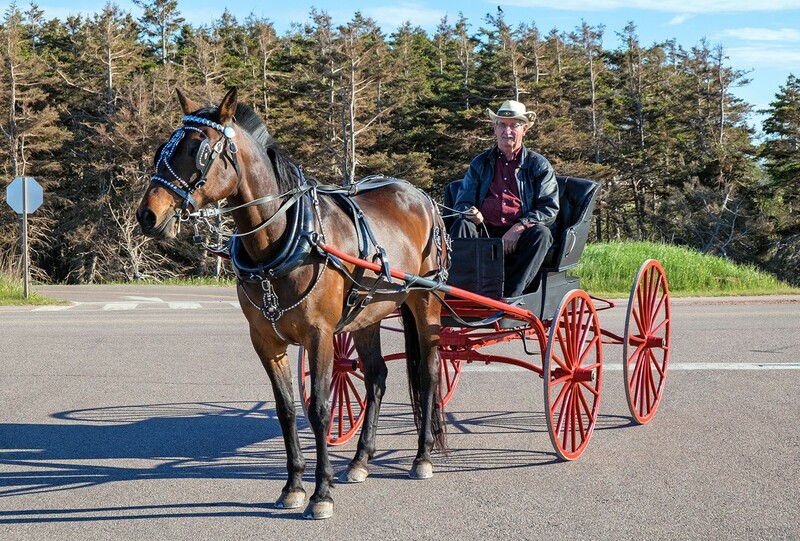 Go packaged: Canadian Affair offers a 14-day Maritime Magic Treasures fly-drive package which visits Prince Edward Island and Nova Scotia, including flights, car hire and accommodation. 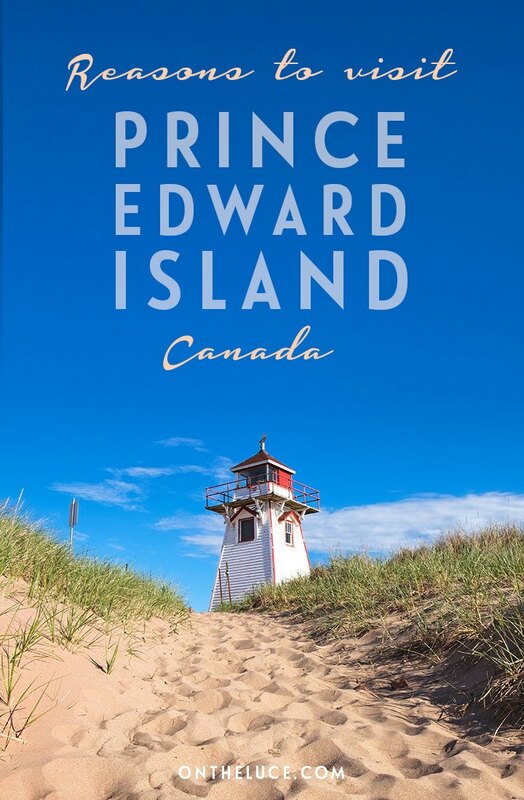 Find out more: visit Canada Keep Exploring to discover more things to see and do on Prince Edward Island. Big thanks to Destination Canada, Canadian Affair, Air Transat and Tourism PEI for hosting me in PEI, and to everyone I met on the island for making it such a great experience. All opinions are, as ever, my own. 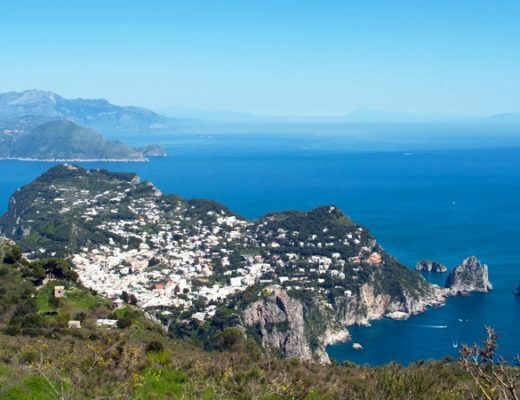 A Lovely post – captures the island well.Making me want to return. Thanks Nim, I really enjoyed reliving all the great things I did out there – such a lovely island! It looks (and sounds) lovely there on Prince Edward Island. I’m already a fan of the oysters harvested from the waters of PEI! Looks like you enjoyed the seafood from your photos. I definitely ate more seafood in PEI than I have in years! Not entirely convinced by the oysters yet but I think I might need to give them a couple more goes. Beautiful place. 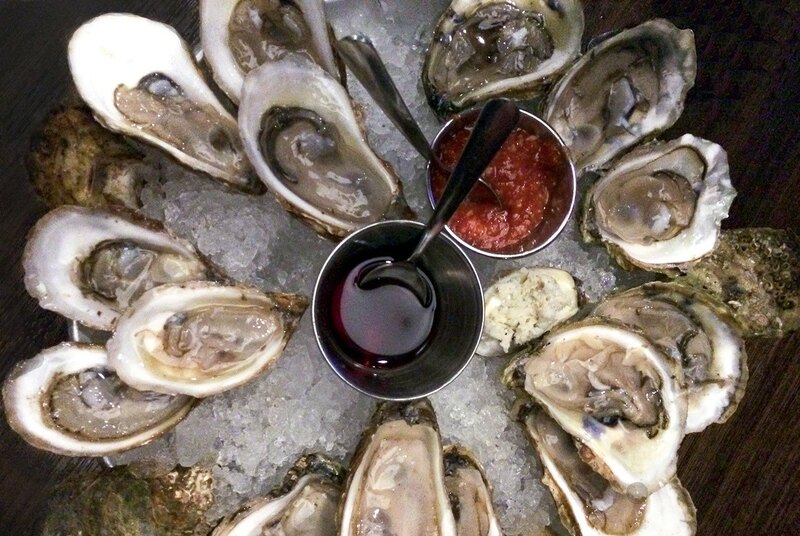 PEI is known for their oysters and mussels – delicious! Yes I don’t think I’ve ever seen so much seafood – so fresh and delicious (though the jury’s still out on oysters!). Those red sandstone cliffs look incredible! So unusual aren’t they? It’s such a pretty stretch of coastline. 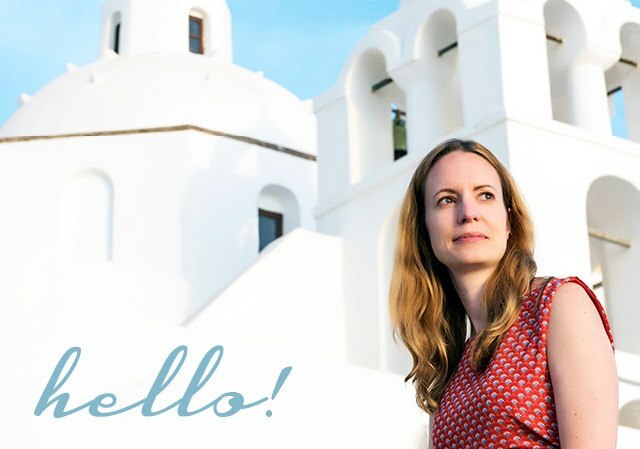 Thanks Karen, I loved the lighthouses – took so many photos of them, they’re just so photogenic! Lovely overview of PEI Lucy, great to be reminded how friendly it is there, love the photographs, especially the lighthouses and of course those oysters! Thanks Iain, can’t beat a good lighthouse – and I’m almost convinced about the oysters! Thanks, it’s lovely isn’t it! Thanks, yes Canada is full of such beautiful landscapes! Love a smart lighthouse! You’ve captured really well a beautiful aspect of this evocative part of Canada. Love a good lighthouse too – if I go back I so want to go and stay in the one that’s been converted into accommodation! thanks Lucy. Canada is always beautiful, I have been there once but was on the conference in Toronto, but next time when I land on this beautiful place I surely visit this.. Thanks, Toronto is a great city too but I did really enjoy getting out and exploring some of the smaller places, such a friendly feel! so this means Lucy, I have to give it a shot.. I loved Anne of Green Gables growing up – still do I think and PEI is all i had imagined it to be, and far more. I definitely don’t remember the kind of food you describe in the books…! No the food seems to have come a long way since then! My next PEI post is going to be all about Green Gables, loved visiting the sites from the book. It is stunning, lovely to read more about it. We wanted to visit a couple of years ago but sadly the flights are prohibitively expensive, but at least that keeps the place unspoilt! Flights can be pricey in these smaller places – there’s the ferry and bridge though so it would be a good one to combine with a road trip through the Maritimes. Maple wine was really interesting! Quite sweet like a maple dessert wine almost. I’m so staying in a lighthouse if I go back too! 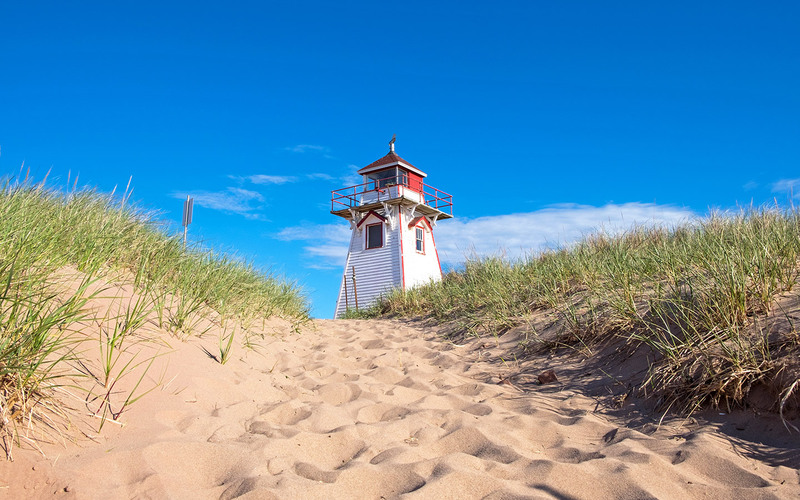 Plenty of coastline to go around on PEI – and loved the lighthouses and seafood too. 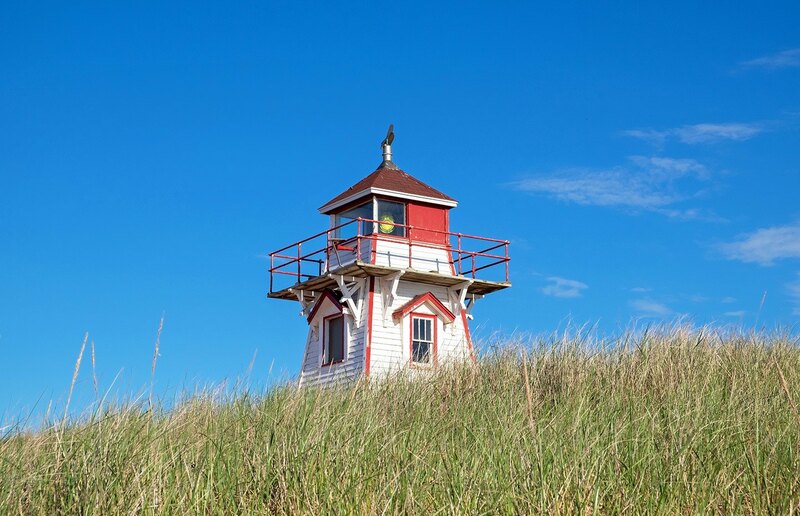 I love lighthouses, maybe I should visit.Prince Edward island. You would love it then!